Poor Chase Elliott. It’s difficult enough to be the son of a legendary Cup Series champion and NASCAR Hall of Famer, but to begin your Cup career behind the wheel of a legendary car that was built and maintained by a legendary team and formerly driven by a legendary driver who redefined the entire sport, definitely no pressure there. And it’s not that Elliott didn’t start his rookie season in high style. Snagging the pole award for the Daytona 500 was a pretty strong way to make an entrance. Unfortunately, such a feast resulted in a 37th-place famine as he wrecked his No. 24 NAPA Chevrolet on Lap 20. Such seemed to be the nature of Chase’s 2016 Cup season. Solid performances most often gave way to lackluster or downright frustrating results. Top-5 finishes at tracks like Texas Motor Speedway, Bristol Motor Speedway, Talladega Superspeedway, Dover International Speedway, Pocono Raceway, Michigan International Speedway and Chicagoland Speedway came after runs when Elliott led laps and showed great promise. It was typically a matter of when Chase would win, not if. 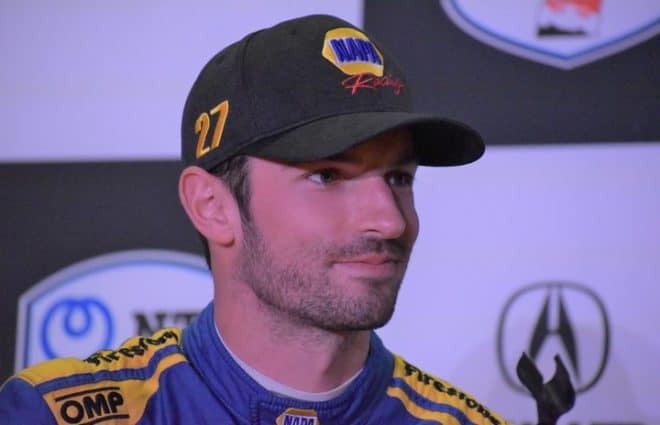 The dark cloud overshadowing Elliott’s obvious talent was composed of all sorts of issues: poor pit stops, poor restarts, speeding penalties and overall missed opportunities. 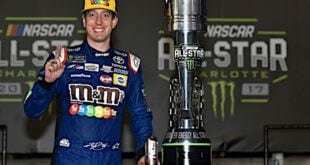 Despite making the Chase for the Sprint Cup on points earned, he wound up getting eliminated from title contention after the second round and finishing the season in tenth place. 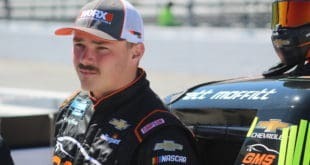 Aside from pole positions at Daytona and Talladega, the rookie could boast about his two second-place runs at Michigan and his two third-place finishes at Dover. 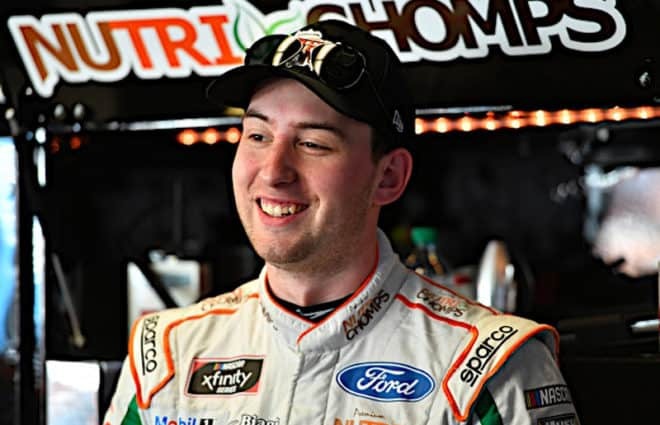 While a trip to Victory Lane looked like a sure thing at Pocono in June, where Elliott led a total of 51 laps, it took getting out-foxed by eventual winner Kurt Busch on a late-race restart to bump his Hendrick Motorsports Chevrolet to a fourth-place finish. Not that Elliott’s competitive struggles could be reduced to mere first-year jitters, but his responses to such on-track woes were often very sincere admissions of his own personal faults. He admitted that he misread or misplayed restarts, and he always seemed to put the blame squarely upon his own twenty-year old shoulders. While rich in talent, he understood that he was lacking in experience, and it was this learning curve that was both difficult to stomach and necessary to overcome. One way Elliott straightened his learning curve was by going wheel-to-wheel with NASCAR’s best, which included his own HMS teammates. Within the media, it seemed as though we hand-picked Ryan Blaney as Elliott’s arch enemy: two skillful second-generation drivers racing for respected organizations and Rookie-of-the-Year honors come November. 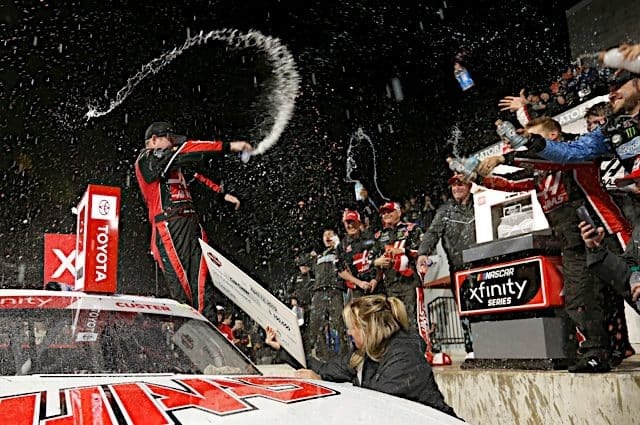 Though Elliott ultimately won the Cup Series ROTY title, he accomplished the feat by often out-running and out-gunning not only Blaney, but other young talents, like 2016 race winners Kyle Larson and fellow rookie Chris Buescher. What defined Elliott during the 2016 season was his ability to handle the pressure of driving one of the highest-profile, most-recognized race cars in all of NASCAR. While he may have struggled from time-to-time, he still managed to run near the front on most weeks and learn from his previous mistakes. Leading a total of 358 laps and making the top-16 in points to get a spot in the post-season is no small accomplishment. 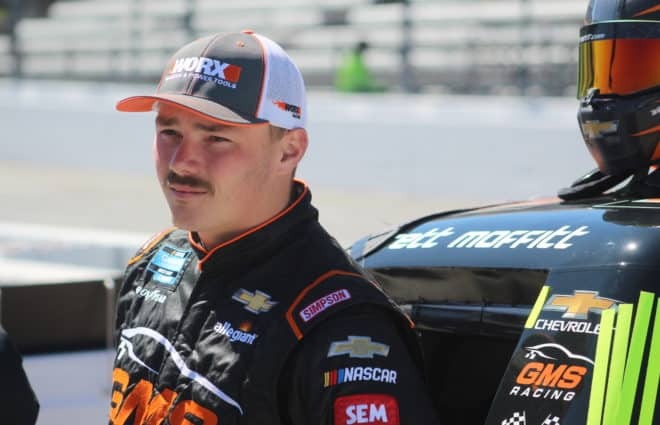 Winning the pole at Daytona and Talladega might be a nod to the long experience and top quality of team owner Rick Hendricks’s superspeedway program, but it still required a gifted driver like Elliott to mash the gas and beat the clock. It was the young man who praised his crew when things went well and took the blame when things did not. Elliott’s triumph and tragedy at Daytona in February can be seen as an example of how his 2016 season unfolded over the 36-race schedule. He earned the pole position for “The Great American Race” in his first start behind the wheel of what used to be Jeff Gordon’s famous ride. After leading the first three laps and getting the year off to what looked to be a trailblazing start, the driver of the No. 24 car found himself – just 17 laps later – sliding across the infield grass with a bent and broken Chevrolet. Such afternoons of spring ahead/fall back reflected the overall rhythm of Elliott’s inaugural season in NASCAR’s premier series. 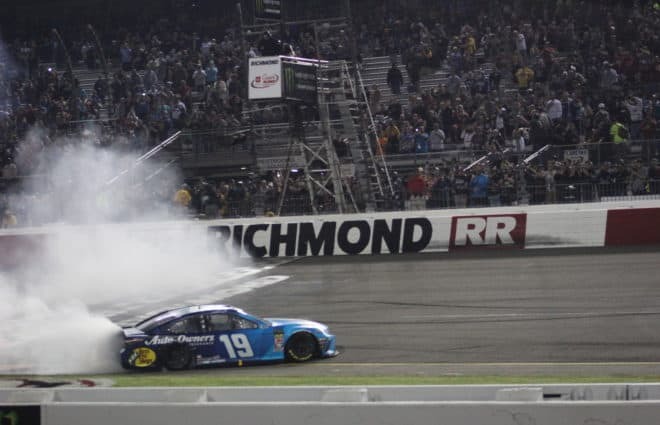 While Chase drove well and managed to find consistency as the season wore on, there were still enough rough patches to keep Elliott out of Victory Lane. This run of luck will most certainly change in 2017, but it will forever be part of Chase’s rookie legacy. Another part of Elliott’s rookie season legacy might be considered his most visible social media experience during 2016: his public endorsement of Donald Trump for President during a political rally in Valdosta, Georgia. 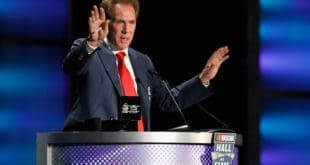 Following an impassioned declaration by NASCAR CEO Brian France, both Chase and his Hall-of-Fame father stepped to the microphone and threw their support behind the then-GOP candidate. While both Elliott men seemed perplexed by their appearance on-stage and the praise they were supposed to give, it’s the younger Chase who was most awkward with his public endorsement of Trump. Having the eyes of your “boss” and the glare of the candidate upon you while addressing the crowd pushed Chase into unexplored media territory. It was a far cry from hoisting the Coors Light Pole Position flag or – months later – the Rookie-of-the-Year award.